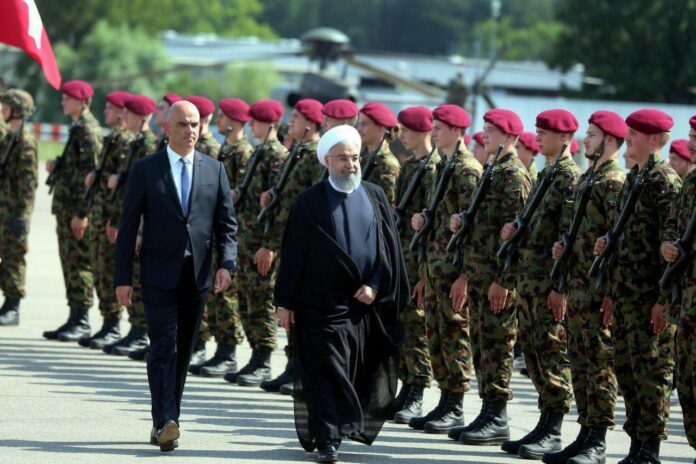 Iranian President Hassan Rouhani, who has arrived in Zurich, says he is going to confer with top European officials on the ongoing crises in Yemen and Syria as well as ways to save the Iran nuclear deal during his ongoing trip to Switzerland and Austria. 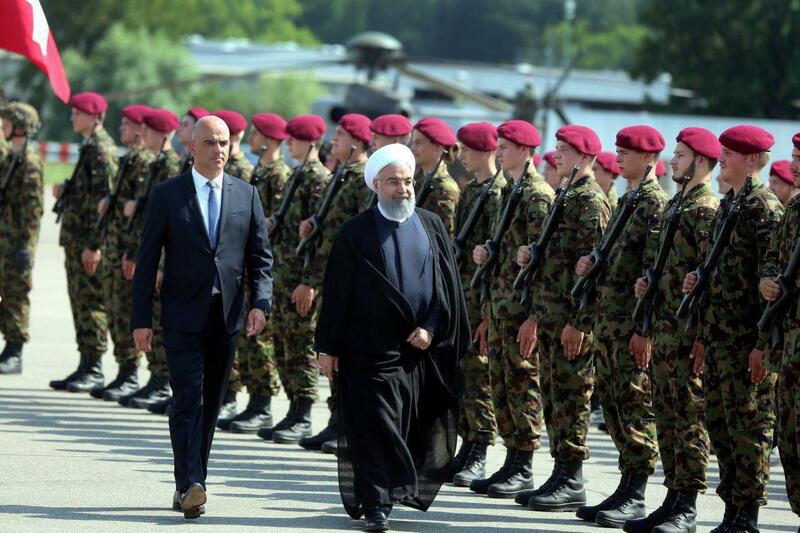 Accompanied by a high-ranking delegation, President Rouhani arrived in the Swiss city of Zurich on Monday, and was warmly welcomed by Switzerland’s President Alain Berset at the airport. The Swiss president also wrote a message in Persian in his Twitter account to welcome the Iranian president’s visit, and show how significant it is for Bern and the European Union. In an address before embarking on his visit to Austria and Switzerland on Monday, Rouhani underlined that one of the main goals of his trip to the European states is to take advantage of the huge untapped capacities for strengthening ties with Bern and Vienna. He then referred to the importance of the Iran nuclear deal at the international level and said the nuclear deal’s survival is in the interests of region and the whole world and added today all remaining sides of the JCPOA unanimously condemn the US for its illegal withdrawal from the accord, a report by Fars News Agency said. President Rouhani said most of the talks between Iran and the P5+1 group of countries over the Iran nuclear deal were held either in Switzerland or Austria and added the two countries provided the involved sides with an appropriate forum for talks. He then added the remaining sides of the JCPOA are working hard to save the nuclear deal. “One of the main reasons behind hard efforts of the remaining sides of the JCPOA is to prevent it from collapsing after the US illegal withdrawal. During my visit to Austria, I will discuss the issue with the officials of the country as the new head of the EU,” Rouhani said. Elsewhere in his remarks, the Iranian president said the Europeans are set to hand over their support package to Iran in the coming days to convince the Islamic Republic to remain in the deal after the US withdrawal. He then referred to the crises in Syria and Yemen and said during his stay in Europe, the sufferings of the innocent people of the two countries will be discussed. According to Rouhani, during the visit, a number of documents will be signed in various areas between Iran and the European states.